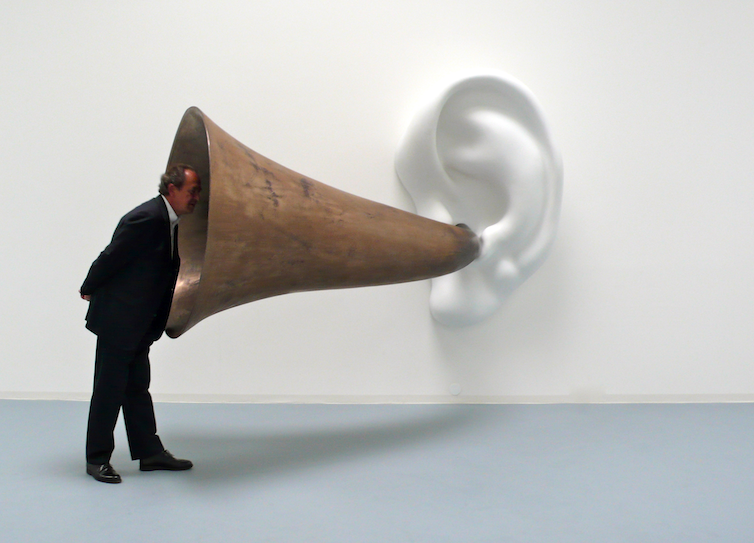 Beethoven’s Trumpet: In One Ear & Out the Same Ear is John Baldessari's first ever sculptural project. An edition of six, this series represents a significant and exciting expansion of Baldessari’s practice, while maintaining a strong conceptual resonance with his two-dimensional work. 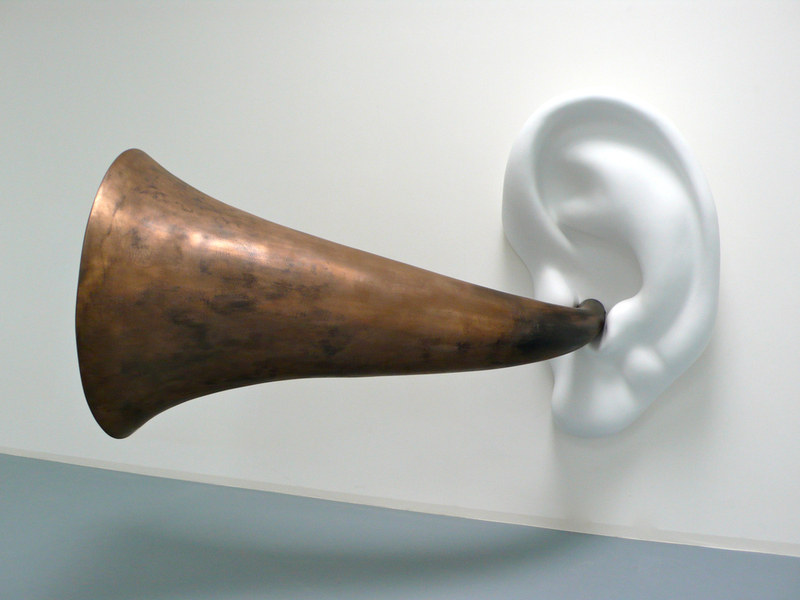 The sculpture greets viewers with a large bronze colored ear trumpet suspended four feet off the ground and extending out into space. 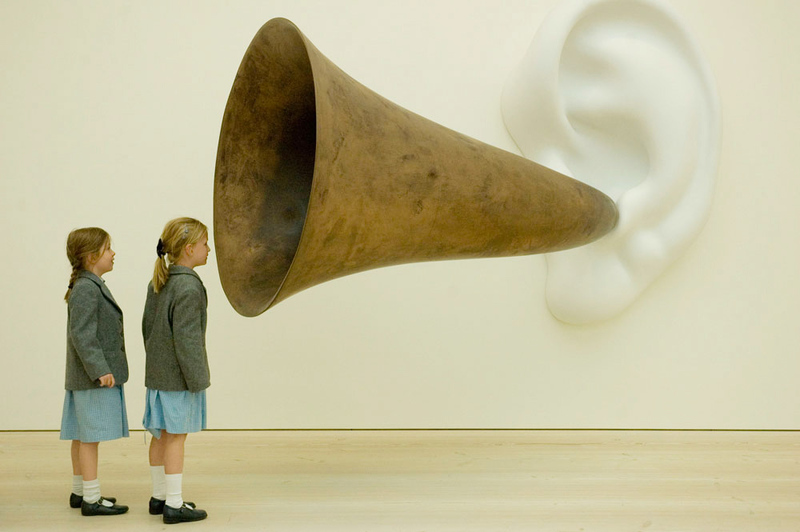 The trumpet is held aloft by an equally oversized white ear, which is mounted to the wall. When a viewer speaks into the trumpet, the voice triggers a short musical phrase drawn from one of Beethoven’s Late String Quartets (Opuses 127, 130, 131, 132, 133, and 135), written while the composer was completely deaf. 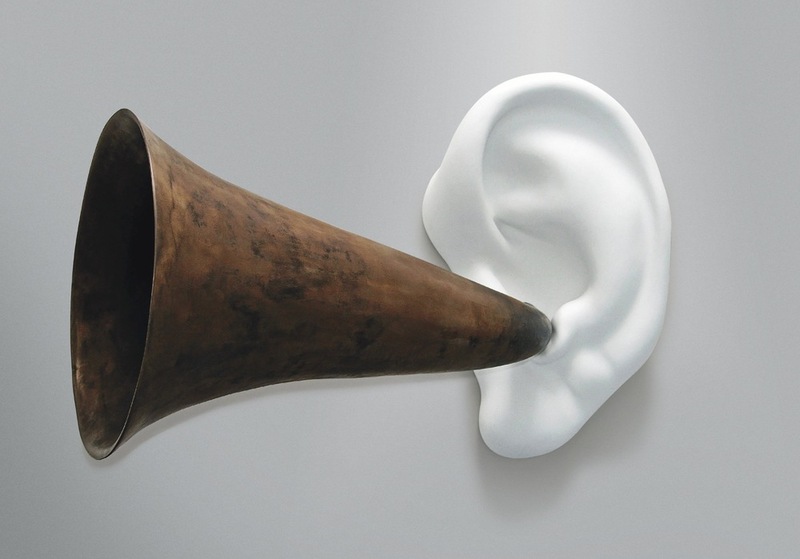 Each work in the series plays a different musical phrase.